Tottenham Hotspur ended 2018 with a disappointing defeat to Wolverhampton Wanderers at Wembley Stadium, but it had been a very good opening half to the current season and we go into the New Year’s Days clash with Cardiff City looking to retake second spot from Manchester City and get that gap closed to Liverpool who top the Premier League table. Heading to the Cardiff City Stadium for Tuesday’s late kickoff, manager Mauricio Pochettino knows Neil Warnock’s side will be tough and full of energy – and quite possibly full of fouls as well – but whatever happens, Warnock will be looking for excuses as Spurs should have enough to bounce back from our previous disappointment and take all three points on offer. 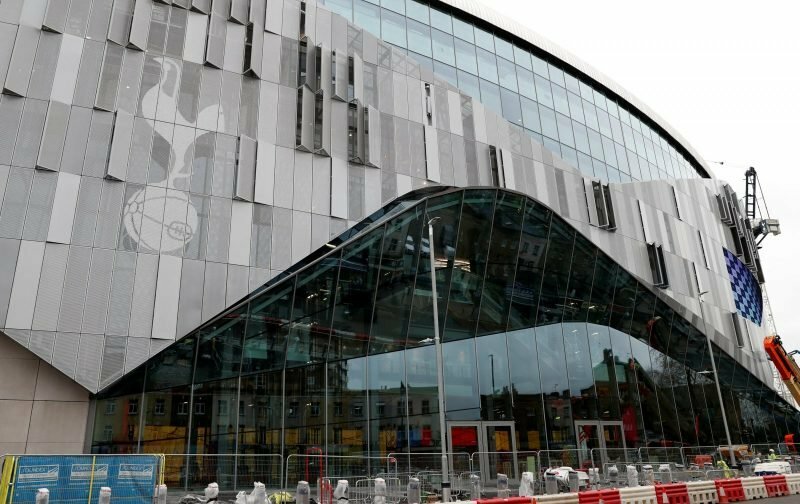 With the New Year hopefully bringing a fresh face or two to bolster the group, we will eventually have our new White Hart Lane back as well and that should be a significant boost for everyone. For now though, just get the win. We simply can’t afford another “shock” result to follow the Wolves fiasco, we must resumes winning ways to maintain a top 4 position amidst challenges from Chelsea and Arsenal. We will struggle to take points from direct rivals, so can’t afford to drop points against also ran and relegation prospect clubs. Yes we have a congested programme, yes we have injuries and a paper thin squad, but we must overcome these excuses and resume winning ways. A happy new year to all fellow Spurs fans, may it be as successful as we all wish and hope. You never know we might even be into the new stadium at some time during 2019. I see the delusion that footballers are energiser bunnies who never get tired and sports science is bunkum is still going strong. Even Pochettino is beginning to admit players get tired. But to Frank its just “excuses”, I suppose fantasies are a lot more comforting than dealing with reality. Anyone who was at the Wolves game would have seen our team disintegrate 60 minutes in, like a marathon runner hitting the wall. If our squad is running on empty its going to take something special to manage the games coming up. God help us against Dortmund as they come off their mid season break while we are being run into the ground. jod….I do agree regards the tiredness, as you said it was pretty obvious in Saturday’s game, players are not machines no matter the “sports science”. 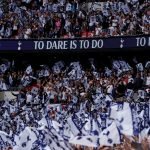 Tomorrow, here we go back to winning ways after our “blip”, not spursy as some idiots are saying, it happens that’s football, lessons will be learnt, so am going for “game over by half time” with a final score of 0-4. I’m already into January …. so happy New Year when you lot catch up!! Disappointing but hopefully a blip. Our fixture list has been particularly unkind but it is what it is. Hopefully the Cardiff result tomorrow will give us the start we all wish for in 2019. Happy new year all regardless. I’m fed up with you optimistic types. Poch out! Sell Kane and Ericksen and Alli and Son and a few others of the dregs that have been holding us down. Let’s see some starts for those who really deserve to start–the Janssens and Llorentes et al. Bring in some fresh blood like Charlie Adam or Mezit Ozil. Bring back Adebayor and Harry Redknapp. Let’s sell the new WHL to Arse n hole and move to South London. Let’s put on a big second half push for relegation. Humbug New Year to you optimists. Aston Vill won the title playing with only 14 players over a 42 game season … do. To give tiredness as an excuses I don’t see liverpool complaining… they had players at the World Cup also. So did City, Chelsea..
Fortunately, it’s an away game and we topped the ‘away table’ for 2018 so …. 0-3! E17yid….well a Happy bloody New Year to you, cheer up it might never happen lol! Am with Geofspurs with a 0-3, nah! sod it 0-4 win. Well said E17. As usual in Jod’s eyes anybody with an alternative view to his as wrong and an idiot. New Year’s resolution for Spurs: Play the Spurs way. Do no win by boring the opposition to death. Win by playing glorious football. Dare. Do. Do not cheat to win. Play to make us proud. This is our way. This should be our only way. Play glorious football. Play beautiful football. When does the Window officially open and the revolving door start revolving. Anyone?